What started as just a simple idea by a college classmate of our president, Jeff, grew to become a viable and successful business – all with the help of WRL. From an initial client presentation to a closely followed project plan by our digital marketing team, our WRL experts were able to successfully create the client’s website, which launched the company LeadSheets.net. 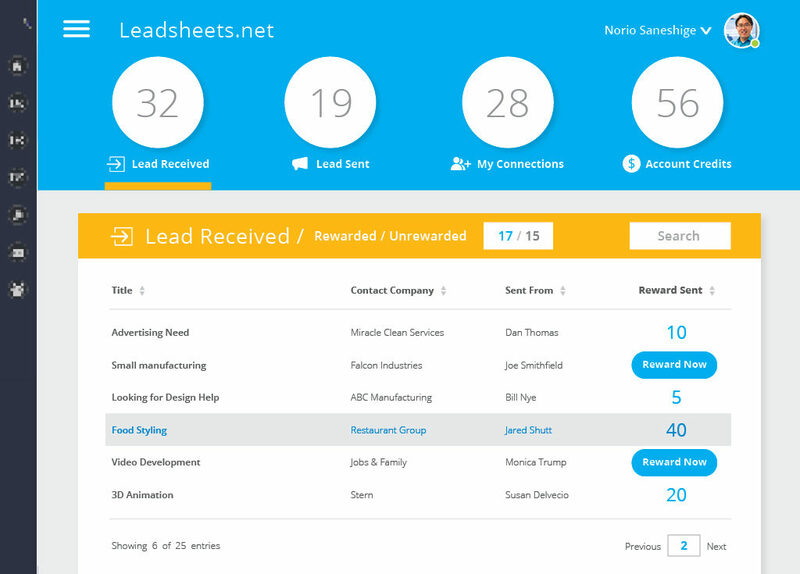 LeadSheets.net is a lead sharing platform where you can leverage your most trusted colleagues for reputable sales leads. It works with trusted referral sources that send your company leads whenever an opportunity arises. It’s like extending your sales efforts to your friends, colleagues, and clients and rewarding them for sending a lead. You have the option of how often and when to reward a trusted referral source. The more a source is rewarded, the more you can count on them to send you great, profitable leads. You get rewarded in “knots” (payment credits) for sending and receiving sales leads across any industry at any time. These knots can be used for future leads or you can redeem them as monetary compensation. LeadSheets.net helps your organization achieve better business leads and consequently, more sales opportunities. After the initial client presentation, and then internal WRL collaboration sessions of project scope, design ideas, and optimal online search tactics, we developed a plan to create a custom website in phases – LeadSheets’ one marketing and communications tool. We leveraged our expert online marketing capabilities to conceptualize, design and program a user-friendly site. It would require relevant message development, specific site organization, and advanced hosting services to reach their target audiences and deliver valuable metrics back to the client. As the final stages of the website were developed, we further emphasized the importance of protecting the company’s online presence to help to ensure LeadSheets’ information is secure and safe from being compromised. Therefore, we provided the client with our WRL Cloud-based hosting services which include 99% guaranteed uptime, data backup, ability to roll-back to a previous version, optimized performance, impressive download speeds and advanced security. From that simple idea, LeadSheets.net has now grown into a successful website and business, and WRL was happy to help make it happen. If you too want to learn how to have an effective online presence and showcase your value, let us know and we can Think. Create. Design. for you. Contact Us today!